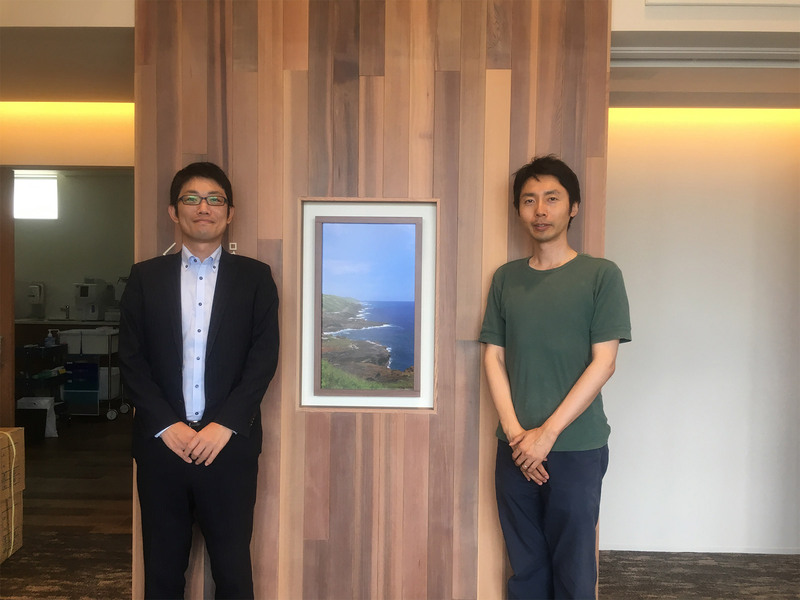 Dr. Uenishi opened a clinic in Komaki City, Aichi Prefecture, the concept of which being “a place you will want to come back to.” He installed three Atmoph Window devices in the waiting room as part of his efforts to create a comfortable space. Q. What kind of clinic did you want to build when you were getting ready for the opening? The consistent theme for us was to create “a clinic you will want to come back to.” I think that everybody has an uncomfortable image associated with clinics. Our goal was to wipe out that negative image as much as possible. Fundamentally speaking, clinics are places that you should not need to come back to, but my expertise is in chronic diseases, and unfortunately, my patients need to visit my clinic periodically. That is especially the case with diabetics. Patients with lifestyle-related diseases must work hard to maintain their health even after they come off medication. The sad reality is that, once they finish their course of medication, some of them stop coming to me. The main reasons are that they feel fine again and that going to a clinic feels like a chore. Who wants to go to a clinic anyway? I really wanted to reduce the negative feelings that they have towards clinics, because I believe that that will contribute to maintaining their condition in a good state. Atmoph Window was exactly what I was looking for to embody my concept and to create a comfortable space. Q. Why did you decide to install Atmoph Window? 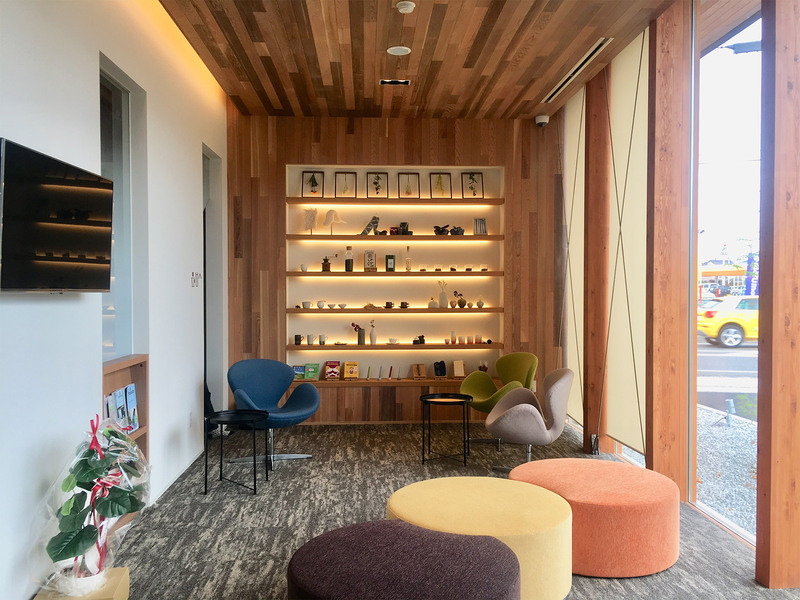 We first drafted the theme of the clinic, and then asked ourselves “What kind of space would we find comfortable?” It became apparent in this process that Atmoph Window fit the bill. In fact, I had always wanted to support hardworking startups and find a way to collaborate with them. I thought it would be great to grow together with a company with infinite possibilities. And then a friend of mine that loves gadgets introduced me to Atmoph Window. 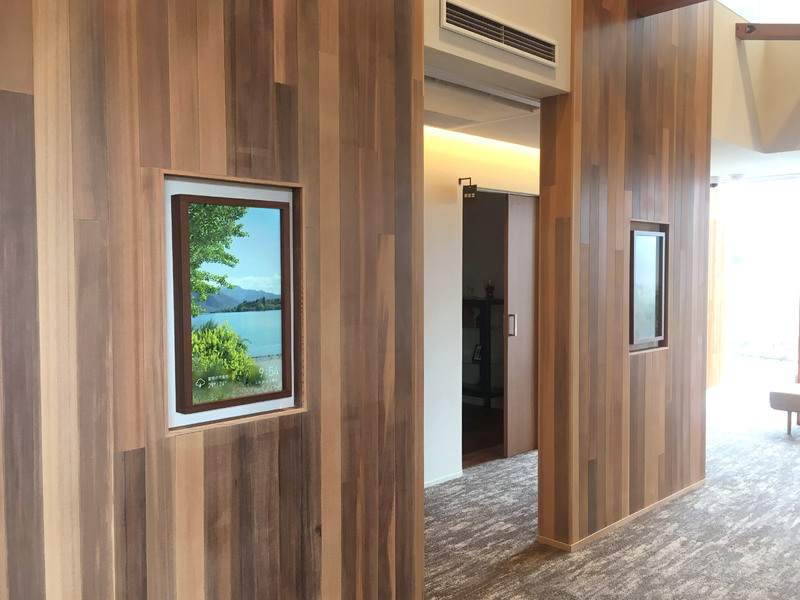 I thought that the product’s concept of “improving the quality of time” was very close to our concept of “a comfortable clinic that you will want to come back to.” I thought that my patients would be able to enjoy their waiting time in a comfortable atmosphere if they get to see great sceneries from the world. I was also drawn to the uniqueness of Atmoph Window, which shows exclusive views. Q. Which aspect of the product were you particularly drawn to? I liked the product itself, but in addition to that, I liked the fact that the focus is on the concept of “window.” When I met your president, I asked him whether we would be able to insert our advertisements or promotions. He said no in a determined voice. I appreciated his clear view and determination, and that was when I understood their philosophy. I realized that it is to decide what not to do or what to abandon that matters the most when doing something. It is difficult to make a space that will appeal to everyone, and attempting to do that will only blur the concept. It is in this sense that Atmoph Window is a great companion to clinic waiting rooms. But if every clinic starts using Atmoph, we will no longer be special, and we will be in trouble, haha. Q. Is there anything that you expect from Atmoph Window in the future? I love it when a patient says “that’s beautiful” or “that’s lovely.” I will try to find time to go into the waiting room, change the scenery, and see how my patients react. If patients can spend their time in the waiting room in a relaxed atmosphere, that actually benefits the clinic quite significantly as well. Lengthy waiting times are one of the most common complaints that clinics receive. And these complaints are often made to the receptionist, which really stresses them out. I think Atmoph Window will help our patients relax while waiting, which will relieve both our patients’ and our staff’s psychological burden. In terms of the sceneries that it offers, I think one of the things that will need to be addressed is how to search for a view when the library grows. Searching means that you already have something in mind, and you are looking for it. I think it might be interesting if we could encounter totally unexpected views. Currently, it is quite a task just to find a view we are looking for. Do you have a favorite scenery on Atmoph Window? My home Atmoph Window displays a view from Iceland, because I like the country. I also like Icelandic music so much that it feels like I have listened to Sigur Rós more than any other musician in my entire life. Uenishi Internal Medicine Clinic, specializes in diabetes and thyroid diseases.